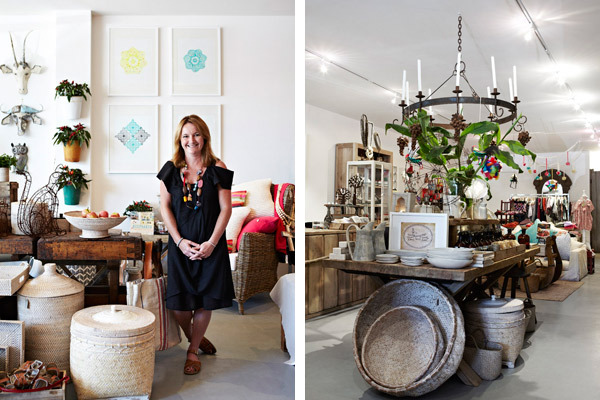 FK chats to Lee about her lovely eclectic store White Nest, found in the Mornington Peninsula! Tell us about your store White Nest and what things we can expect to discover. 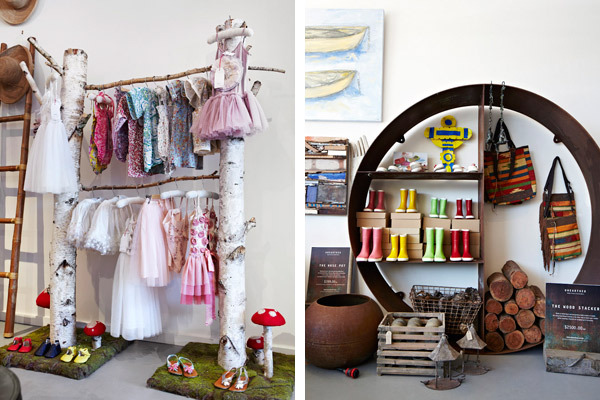 White Nest is a unique store with lot’s of one off pieces, our logo is; feather your nest… little thing’s you’ll love one of a kind carefully collected thing’s for choosy birds & cool kid’s. A great amount of time is spent merchandising the store keeping it interesting, each week the window is changed, people come from far to see the displays. 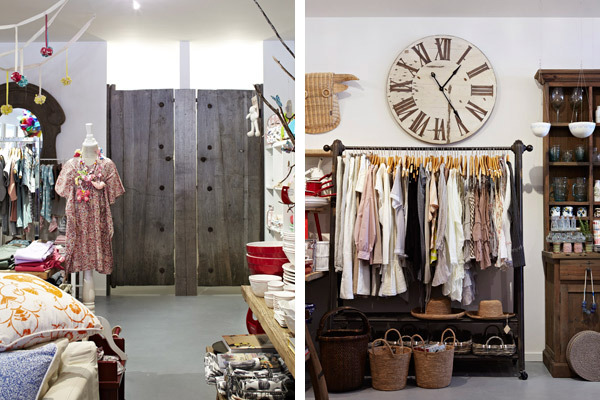 White Nest is not a store that you can just pop into, it takes some people hours to explore. White Nest opened on the 27th of December, 2011 just in time for the crazy summer rush we experience down here on the Mornington Peninsula. Our motivation was to open a store so different from anything else. We are constantly searching and looking for new and exciting labels, we love it when we find something new. We stock lots of local designers and a lot from France in fact from all over the globe. 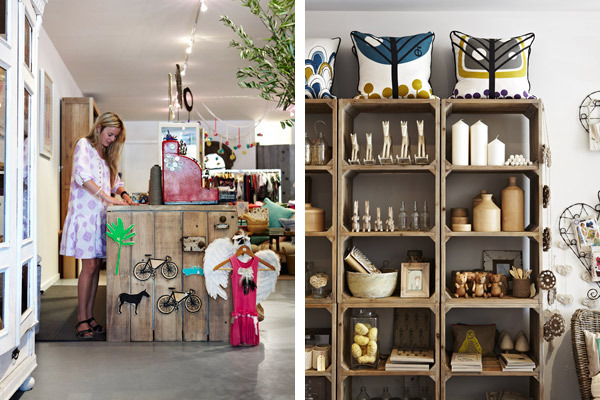 We call White Nest a lifestyle store as it features so many different ranges, we have clothing, shoes, jewellery, home wares, gift’s and books etc. 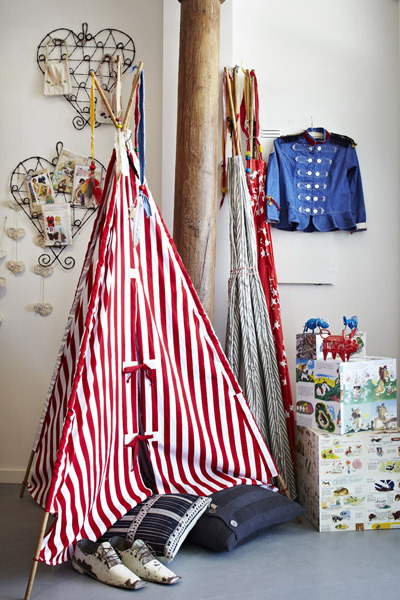 My favourite part of the shop is the window, it is such a good space and we have so much fun creating new display’s each week, some week’s the window has looked incredible we have had chairs hanging from the ceiling, tipi’s, etc. What is the design & art scene like in Blairgowrie? 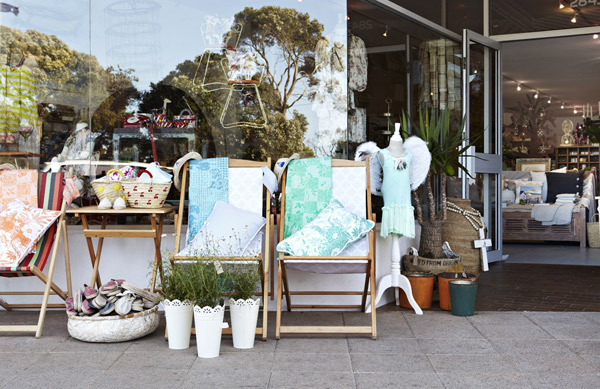 Blairgowrie is a lovely coastal town, the small strip of shops is directly opposite beautiful Blairgowrie Beach. Blairgowrie consists of amazing restaurants, cafes, seafood shop, etc. White Nest is the only gift store which is nice. It is very rewarding seeing what I have created, the feedback has been incredible, it is a lot busier than I ever imagined and at times a little overwhelming, I have a young family who I think are missing Mum a lot, luckily I have a very supportive Husband, I could not do this without him. What new projects are you working on for White Nest for the remainder of 2012? There are new projects and a lot of amazing stock arriving from Paris, I ordered 7 months ago and it arrives in August. I have never seen pieces this beautiful I can’t wait! 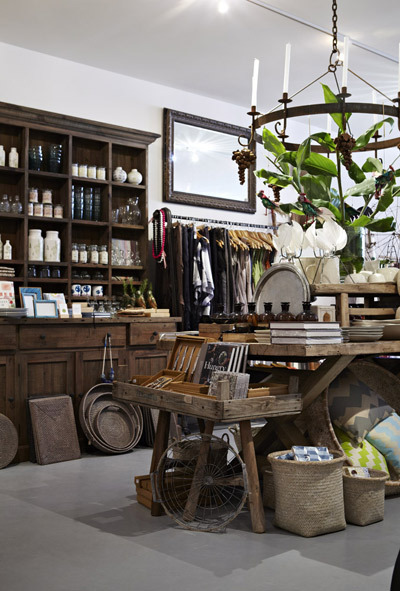 Love this shop, looks so rustic and wonderful! I popped into this little strip on our way home from the beach and sadly only had 10 mins ( waiting for fish and chips). Really loved the White Nest and was able to buy a great birthday gift for a very hard to buy for person!Thank you.